The Luke Church project involved upgrading their church parking lot to LED lighting late in 2018. Their facility is less than 5 years old and located at 2380 S Houston Ave, Humble, TX. The Luke Church noticed that their metal halide fixtures were not lighting properly, even with brand new bulbs. On closer inspection, we determined that the cause for the inefficient and inconsistent lighting was due to a bad ballast. For the Luke Church, we went with the new Dorado LED parking lot fixture. The Dorado, at 288 watts, gives the output of a 1000 watt metal halide fixture, reducing the energy consumption of the church and saving them money. At this rate, the LED retrofit project will quickly pay for itself within the first 2 years of use on just the energy bill. In addition, the church will be able to increase their savings through reduced cost of maintenance, while increasing the parking lots level of safety. 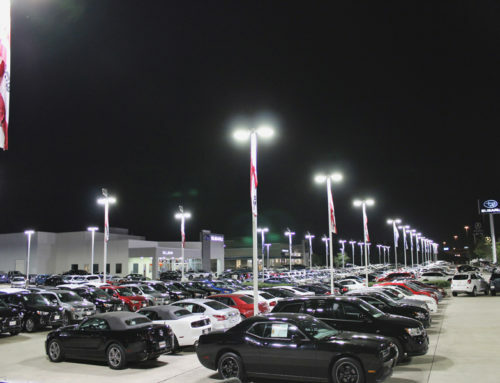 LED Lighting of Houston is a National LED lighting company in Houston Texas. Our major service locations include Houston, Austin and Dallas, as well as New York and California.